This page contains a translation into English of the lyrics to the popular Greek song "Paramithiazome" (Παραμυθιάζομαι), which was sung by Pantelis Pantelidis (Παντελής Παντελίδης). Also included is a pronunciation guide for the Greek lyrics so you can sing along if you like. This song was Track 12 on Pantelis Pantelidis' first album, which was titled Alkolikes I Nihtes. The lyrics of this song refer to a girl talking about her feelings, even though a man is singing it. The story in the music video portrays them both living in a confused fairy tale of their relationship. It's a very popular song! Pantelis Pantelidis was born in Athens in November, 1983. He was known as a singer, composer, and lyricist. As a self-taught musician, he abandoned his career in the Greek navy to pursue a musical career. He introduced his music initially through online videos to build a following, then released four albums to commercial success. In 2016, posthumously for Best Greek Male Vocalist , which was accepted by his family and his friends. Two of his albums went platinum. He died February 18, 2016 in a tragic car accident. 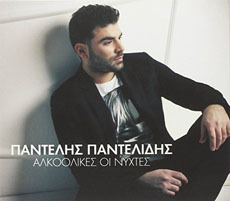 ABOUT THE PHOTO: The photo shows Pantelis Pantelidis. Dear fellow musician and dancer colleagues and students, we invite you to take a moment of silence to remember an amazing young talent who was taken from us at age 32. 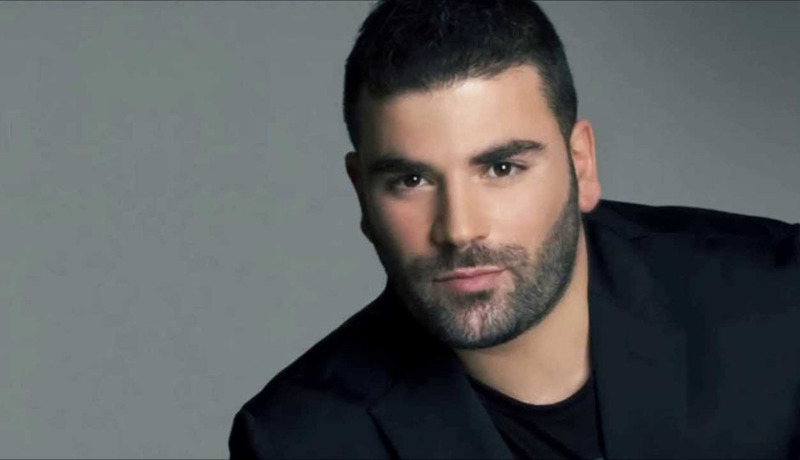 Pantelis Pantelidis, a modern Laiko singer, lost his life in February 2016, during a tragic car accident in Athens, Greece. Pantelis was an exceptional artist and human being, a rising star, and was loved throughout all of Greece and the diaspora. His funeral gathered everyone. Businesses and night clubs shut down in mourning. His funeral was as big as that of Princess Diana. The Hellenic people love talent, but especially even more so when a talent comes from a simple family and is self made on his own. Much like the late Stelios Kazantzidis. As the great female lyricist, Eftixia Papagianopoulou once said, "As long as there are Greeks and the young to sing and play the Rebetiko/Laiko music, then it will never die out." 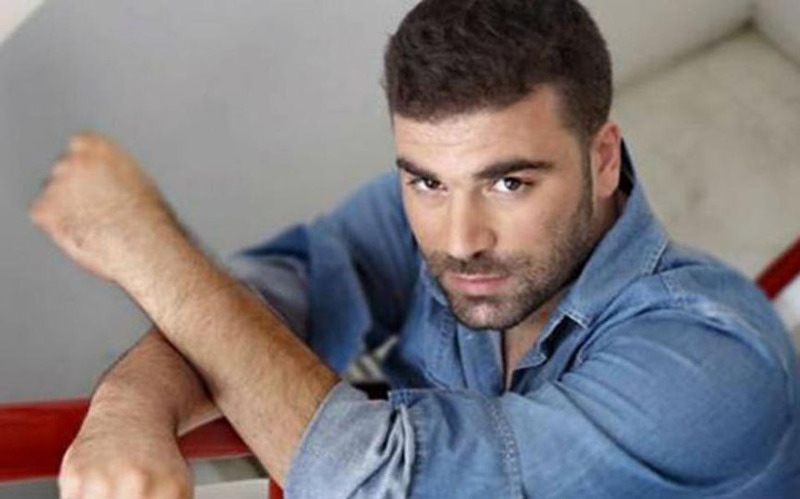 I hope you will consider keeping Pantelis Pantelidis' memory alive by using his music. Pantelis Pantelidis was one of the greatest artists of our time, whose life was tragically cut short. He was a fellow Anatolian Greek-Pontian. Από πού ν’ αρχίσω apo pou na arhiso Where should I start? νιώθω πιο ευάλωτη από ποτέ niotho pio evaloti apo pote I feel more vulnerable than ever. κι ούτε είμαι η ίδια όπως κάποτε ke oute ime ee idia opos kapote and I'm not the same as I used to be. Να ζήσω έτσι πώς na ziso etsi pos How to live like this? ο θάνατος αργός o thanatos argos A slow death. τον κλέφτη στο κορμί μου ton klefti sto kormi mou a thief in my body. Πώς, και έρωτας κι εχθρός pos ke erotas ke ehthros How, both love and enemy. όπως μαζί μου opos mazi mou what you did with me. Παραμυθιάζομαι paramithiazome I tell myself fairy tales (1). Κι ούτε που νοιάζομαι ke oute pou niazome and I don't care. θέλω μαζί να μας βρει το πρωί thelo mazi na mas vri to proi I want the morning to find us together. Παραμυθιάζομαι paramithiazome I tell myself fairy tales. μιας νύχτας όνειρα εγώ κι εσύ mias nihtas onira ego ke esi A night of dreams, you and I.
μέθυσε το σώμα μου όσο ποτέ methise to soma mou oso pote My body was intoxicated as never before. Δε θα σου δακρύσω de tha sou dakriso I won't cry for you. χάνομαι στα χέρια σου, άντρα δειλέ hanome sta heria sou, andra dile I'm getting lost in your arms, coward man. This means, "I lie to myself." The below list shows Pantelis' music arranged by album. Not all the songs are translated on this site. Those which do have translations on this site are shown as clickable links.